Kilcooley, Bangor, County Down down deeper and down. 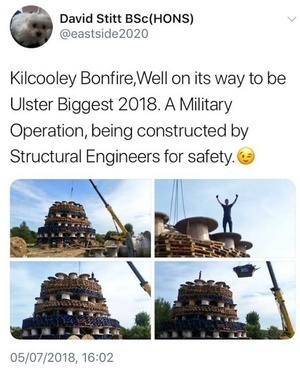 On Saturday Mr Stitt claimed the bonfire was pushed over on purpose by structural engineers due to “structural concerns“. It only took a little prod. Posted in Misc and tagged Bonfire at 10:51 pm on July 7, 2018 by Bodger. Couldn’t happen to a nicer bunch of people, to BSc Honest. I can’t think of any possible negative outcome from lighting a bonfire several stories high in the middle of the first drought in 42 years. They seem to get taller and wider with each passing year, feel sorry for people living beside where these groups decide to build them. Surely with this year’s heatwave, they could skip the 11th night bonfires – in fact, why are all of these wood piles not already disbanded? Petey / Peadar, can you string a sentence together or have the bonfire fumes fried your brain? Petey lives in NYC and hasn’t a clue about Ireland.. Does he? I knew he trolled but doing it from the big apple is kinda ‘special’. In the words of David Jason, “What’s a plonker!!!”. Cowardice on the part of the authorities and police? That’s exactly what I was thinking Sheik, these things are illegal so why do the authorities allow them to be built. There’s no shortage of supposedly cultural bullpoopy where we’re all complicit, it only depends where you want to start. Unfortunately, Bullfighting and Foxhunting are still legal in many countries. This is illegal which makes it a vastly different issue. 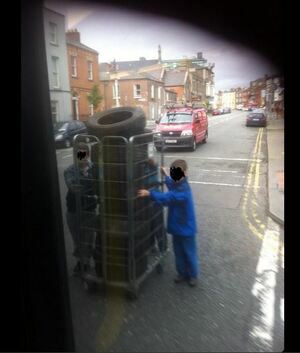 The PSNI don’t want to get involved. 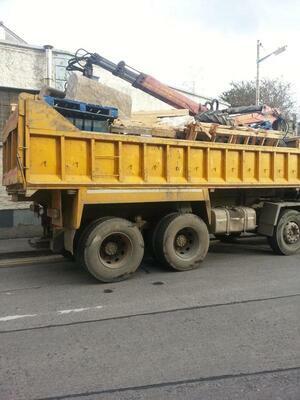 They say it is a cross community issue and that it is up to the politicians to sort it out. The politicians won’t say anything because they fear a loss of votes. I for one am hugely impressed by the sheer ‘fupp you’ scale of these fires. Bonfires were a huge part of irish cultural celebrations and it’s ironic that our orange cousins are the only ones keeping the tradition alive. When we finally achieve a united ireland we should welcome bonfires instead of bye-lawing the poo out of them and charging carbon tax on them. 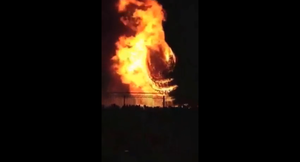 I would love to see one lit up in person, itd look class. OK so send us you address and when we are finished the unification project we will send them round? By all means build on top of a big hill in the country and bucky the night away but sticking them besides houses is just plain stupid. Em…. St John’s Eve is still abonfire night in rural Ireland. with the burning of tricolours and K.A.T. posters?? Did that clown get his engineering degree from the same university of life that Seamy Bryson got his degrees in Law and Journalism? The architect should be sued for festive distress.